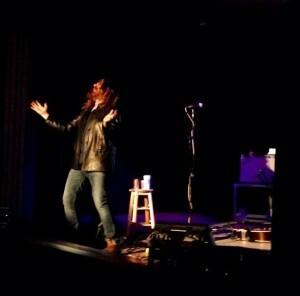 Last weekend LeE HARVeY OsMOND took their Beautiful Scars to the first ever CityFolk Festival in Ottawa. Joining an outstanding line up that included old pals and living legends. A stellar way to kick off their fall dates indeed. LeE HARVeY OsMOND was asked to perform as part of a tribute show at The Country Music Hall Of Fame to Sam Phillips and Sun Records this Saturday in Nashville. However, when Hamilton calls.. How can you say no? 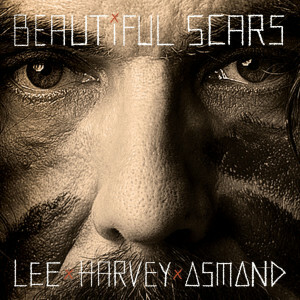 LeE HARVeY OsMOND will be performing August 29th at Christie Lake Conservation Area. Main stage set will be at 2:30. LeE HARVeY OsMOND is joining a long list of stellar artists; Arkells, Bahamas, Iron and Wine, Gordon Lightfoot, Gregory Alan Isakov, Kathleen Edwards, Basia Bulat, Martha Wainwright, Terra Lightfoot and Dinner Belles. For more information and to purchase tickets visit Harvest Picnic online. Check out LHO’s Tom Wilson on the cover of Hamilton Magazine’s summer issue. LeE HARVeY OsMOND is honoured to receive a third Polaris Music Prize Nomination. 3 albums and 3 Polaris nods ain’t bad. This is the 4th Polaris Nomination for Tom Wilson, as his other project Blackie and the Rodeo Kings has also received a nomination. The greatest role of an artist is to inspire and influence the human condition with the intent of making this a better world for all of us to live in.. Yesterday I had a most amazing experience of performing for a new friend who I immediately fell in love with . One of Canada’s greatest living writers, Miriam Toews. Mariam’s book ALL MY PUNY SORROWS has been an incredible influence on me and as a result of her beautiful story I managed to fumble my way to finally completing the song BEAUTIFUL SCARS…. Here is our 1st meeting on CBC Radio’s q . Official Hamilton show this Friday… LeE HARVeY OsMOND will be bringing their wrecking ball of good times and Beautiful Scars to Theatre Aquarius Dofasco Centre for the Arts. LHO is honoured to share the evening with the outstanding Laura Cole. Lee Harvey Osmond, the guise of Canadian singer-songwriter Tom Wilson, inhabits the night’s darker corners. Singing from the depths of interminable sorrow with a cavernous, gravelly baritone capable of overwhelmingly subtle emotion, Wilson crafts a sense of neo-Waitsian noir with his third release, Beautiful Scars. Brushed snares, organ stabs, tremolo-heavy guitars, jazz-tinged horns, and a sense of permanent midnight dominate these ten songs of love and loss. By employing a range of styles steeped in calculated cool, Wilson’s approach to heartache is one wrapped in an ever-present mist that clings tightly to the base of flickering streetlights. To listen to Beautiful Scars is to get lost in black and white, shadows chasing the night as it wrestles with the light. Cigarette smoke lingers beside abandoned whiskey glasses illuminated by failing neon, the moon a cloud-enveloped sliver clinging to the night sky. "I have never met a storyteller with the warmth, humour and heart of Tom Wilson," says Martha Kanya-Forstner, Editor-in-Chief of Doubleday Canada. "He reveals his story with such generosity and kindness that I've already come to love and embrace the characters it. In working with Tom, I feel like the lucky girl who won the lottery, and I can't wait to share his stories with the reading public." The book, written with the assistance of author/musician Dave Bidini, will hit bookstores in Fall 2017. In the memoir, Wilson will offer a profoundly moving and humorous look at family and identity after a chance encounter with a stranger caused him to question everything he had always known about his past. We are proud and excited to announce the release of the new LeE HARVeY OsMOND album "Beautiful Scars". "The bass-lines that rattles your spine, the guitar reverb that echoes in your head and sultry horns that glide on through you – these are all as irresistible as a sinful dessert. And when you add Wilson’s sonorous baritone, well then you’re talking the stuff of bluesy roots rock heaven." You can stream it now off of the LeE HARVeY OsMOND website…and you can also head off to itunes and buy your own copy. “Call it what you will: acid folk, psychedelic blues, alt-country – it's damn good music. 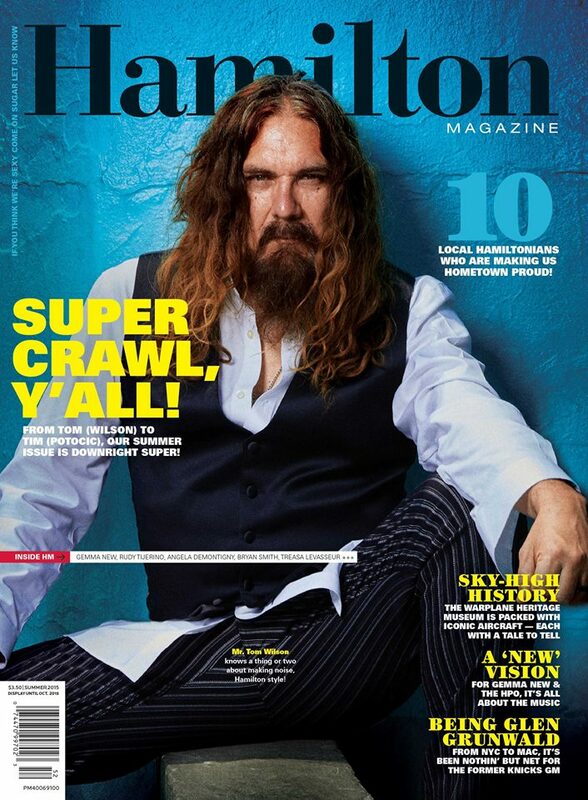 Hamilton's Lee Harvey Osmond sounds like a cross between Tom Waits, Leonard Cohen and Howlin' Wolf – with impeccable studio production and spellbinding support, including occasional horns and female backup vocals." Check it out…we know that you won't be dissapointed.